Who has seen the rocket launch safety analysis? 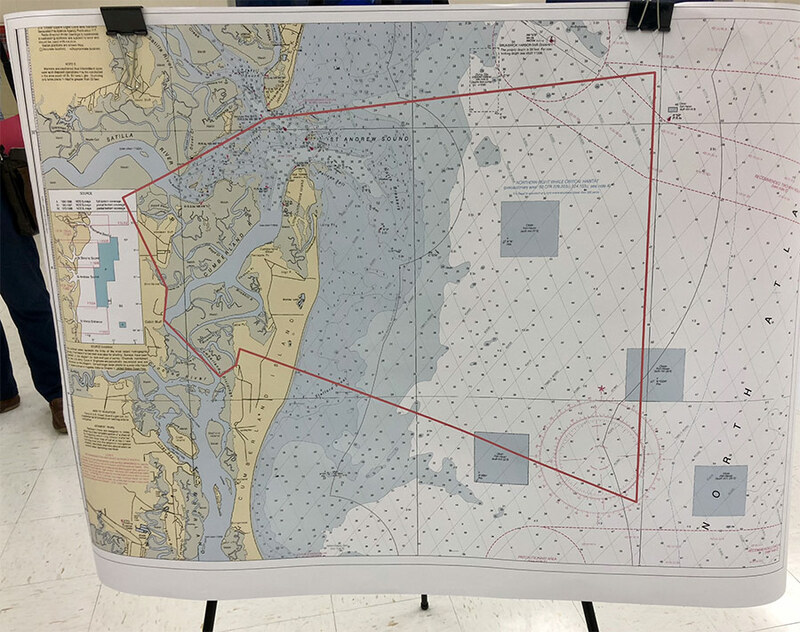 Thursday night, after the U.S. Coast Guard public meeting about possibly designating a rocket launch “safety zone” that would close coastal waters to all commercial and recreational boating, Camden County Commission chair Jimmy Starline and Commissioner Chuck Clark stated that they have never seen the rocket launch safety analysis that was used to define the “safety zone”. Apparently, only Camden County administrator Steve Howard and the county’s consultant Andrew Nelson have seen the safety analysis, and they are keeping it a secret from the Commission chair and the commissioner whose district includes the spaceport. Why? They probably don’t want the public or commissioners to see maps showing where fiery debris will rain down on our coast when a rocket explodes. Also, consultant Nelson says he doesn’t have to follow explicit safety procedures in the FAA regulations and instead is using an “alternative” analysis to try to make rocket explosions seem less serious. Maybe this is why the “safety zone” he provided to the Coast Guard doesn’t match any exclusion zone, closure area, or flight corridor maps that he or Administrator Howard have ever presented in the past, nor does it match the maritime closure areas referred to in the Draft Environmental Impact Statement that Camden County taxpayers are paying for. Perhaps Nelson’s secret alternative method can’t stand up to careful review. It’s inconceivable that Administrator Howard continues to ask the commission to spend more money on top of the $5 million already spent to pursue the spaceport project when he won’t show the safety analysis to commissioners or the public. The commissioners and Camden County taxpayers should demand that Mr. Howard stop hiding behind claims of proprietary information or national security and let Camden County residents and commissioners see how much of their coast will be damaged when rockets explode.